Summer is one of my favorite seasons. It’s a time to travel with my family, for discovering new places and creating new memories. Google Earth is where I turn to for travel ideas. Just last month I was exploring Canada’s National Parks. Inspired by the beautiful outdoor imagery, I’m planning to hit the road with my wife and kids in a couple weeks, up the coast to Hoh Rain Forest in Washington, and then onward to beautiful Victoria, Canada, home of the Pacific Rim National Park Reserve. 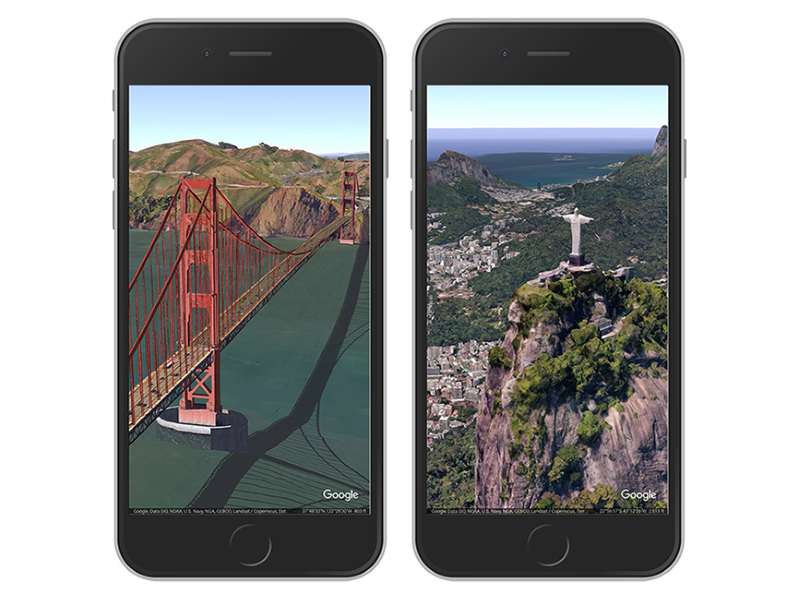 And starting today, if you’re an iOS user, you can download Google Earth and discover your next travel destination, too. 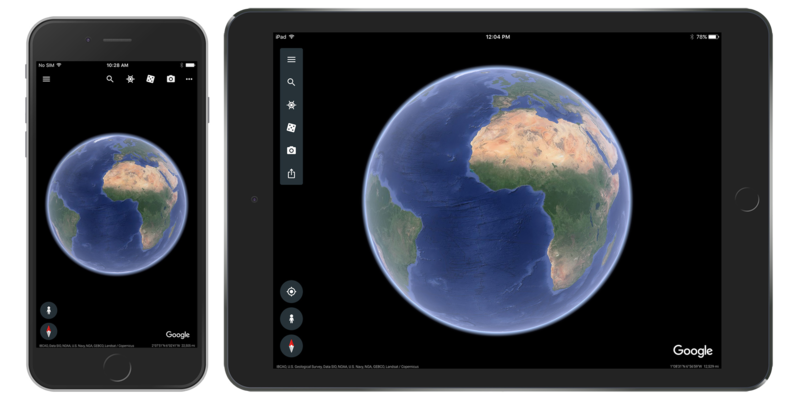 In April, we introduced a brand-new version of Google Earth on the web and Android, and with Google Earth for iOS, you’ll see the same major upgrade. Half the fun of travel is planning your trip. 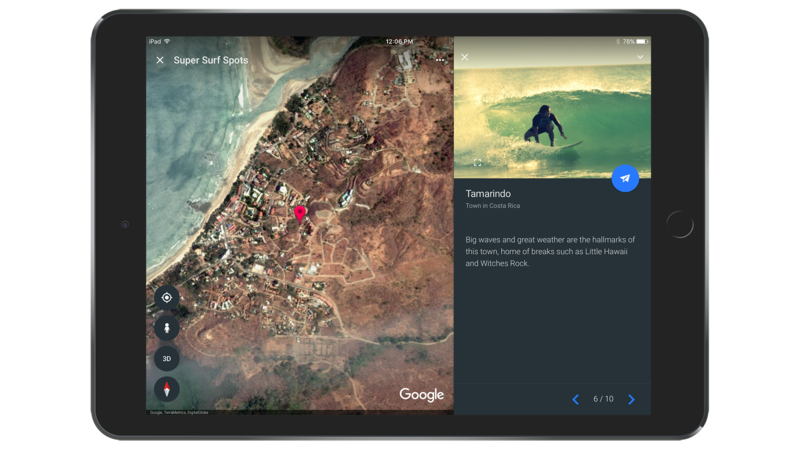 Voyager, our new interactive stories feature in Google Earth, can inspire your next travel destination. Under the Travel category, you’ll find detailed multi-day itineraries for 17 cities, from Paris with Kids to Beyond the Beaches of Rio de Janeiro. Maybe you’re a lover of the outdoors? Visit the brown bears of Alaska’s Katmai National Park, ride the curl with Super Surf Spots, or trek Machu Picchu. Culture buff? Discover a new exhibit with Museums Around the World or follow in the footsteps of the Fab Four with Beatlemania. 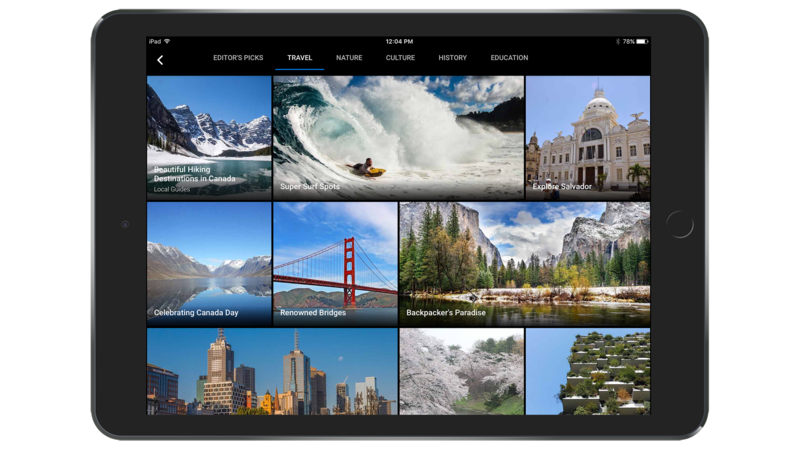 With more than 140 stories in eight languages, Voyager has travel ideas for just about everybody. Once you’ve got a few destinations in mind, your inner tour guide will want to brush up on history and trivia with Knowledge Cards. These cards feature rich information about thousands of places and landmarks around the world. Perfect while you lead your friends around a new city. Search for a place and see related facts with Knowledge Cards. Some of us like to leave our travel up to chance—serendipity can often lead to our most memorable experiences. Roll the dice with “I’m Feeling Lucky” and see where the world takes you. Tap (or roll) the dice in the toolbar to jump to someplace new. Finally, to get your family excited for that upcoming trip—and maybe inspire a little envy from those in your social network—share a Postcard of the beautiful places you find in Earth. Here’s a tip: To get the camera angle just right, use the 3D button or tilt the map with two fingers to see places in stunning 3D. Then tap the camera icon in the toolbar to snap a pic. 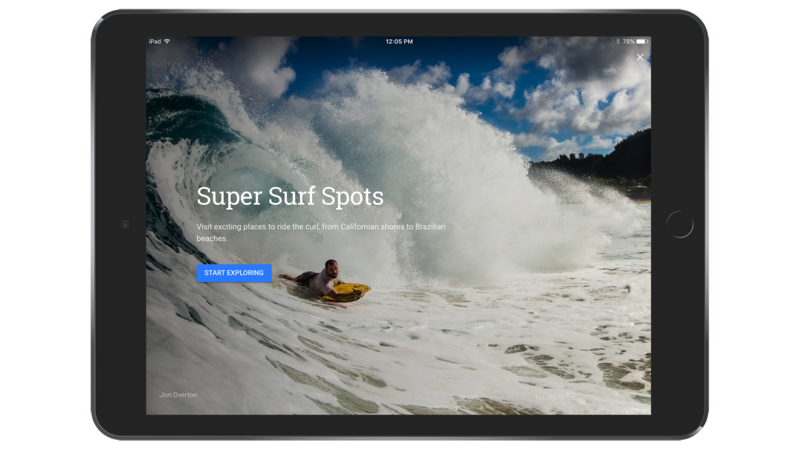 Download the new Google Earth from the iTunes App Store, and let it inspire your next summer adventure.